All of the essentials that I have packed away into this little travel bag are stored in there until they run out. Whenever something is running low, I'll replace it regardless of when my next overnight trip will take place. Doing this ensures that I'll never have to worry about packing my toiletries bag, and things won't be forgotten at the last minute. • Balm - Elizabeth Arden 8-Hour Cream or Nivea Cream - lip balm, cuticle moisturizer, hand cream, etc. If it's the cottage, I'll throw in a small bug spray. If it's over one week, I'll consider some nail polish and my favourite travel nail polish remover pads from e.l.f. Otherwise, this is pretty much it! I loved that you have all in sample size, is difficult to find those in Mexico ��. 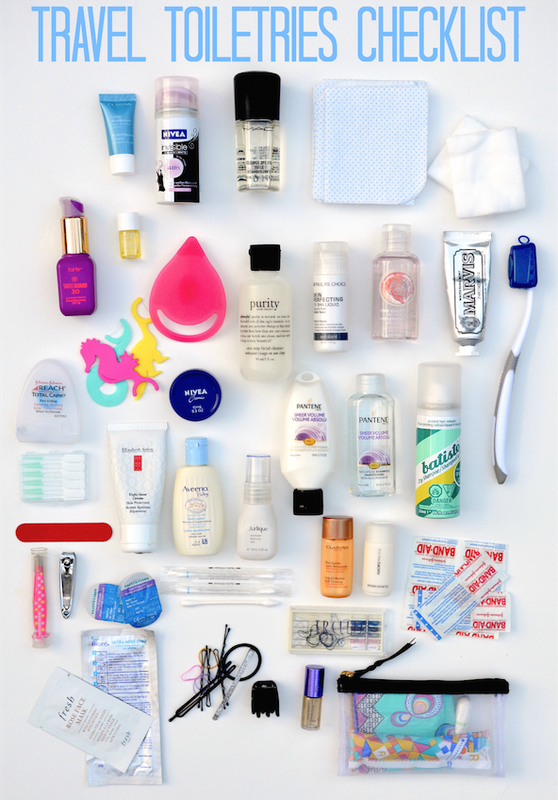 I just save the little bottle from hotels and pour my liquids and creams on them to just carry small amounts of product. What exact product is it? Hi there! Thank you so much for this list and video! It is perfect, just what I need. I travel often, mostly 2-4 night weekend trips. I am looking to minimize my travel case to a smaller size and something like your bag that I can just keep packed and with my suite case so I can avoid repacking and unpacking it for every trip. I am curious, what bag are you using or can you give us the measurements? It would be a great help! Thanks for the comment Emily, I'm so glad that the post is coming in handy for you. The bag I'm using was a Sephora VIB gift with purchase from a few years ago. It's a really nice shape since the boxy interior allows for a lot of small bottles to fit in nice and easy. LxWxH, it is 7x3x4 inches - with some generous give. The sides and top can puff up and out depending on what I have in there. I always have my travel essentials packed to go, too. I include a few binder clips in the travel bag, they're more reliable than safety pins if you need to hang something up, like socks or underwear you needed to rinse out in the sink, and they're super-useful for keeping blackout curtains closed.